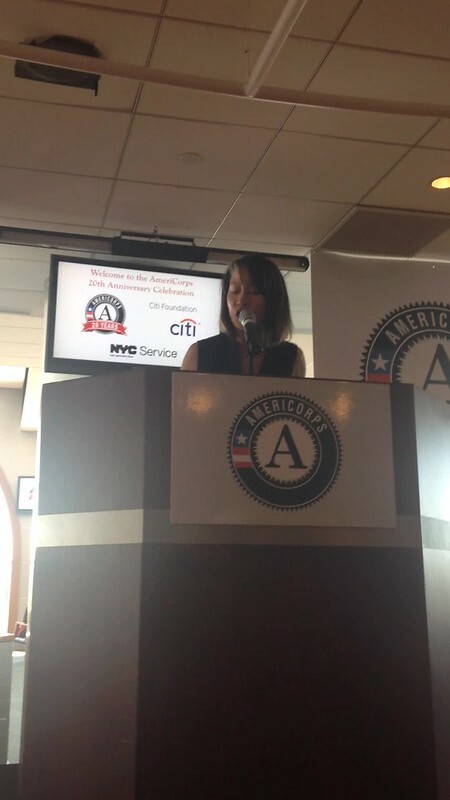 Our 20 Favorite Moments from AmeriCorps’ 20th! What does Lou Diamond Phillips have in common with four U.S. Presidents? 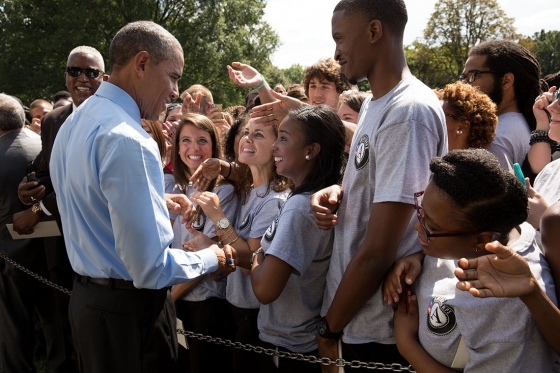 They all celebrated the 20th anniversary of AmeriCorps. If you missed it, here are our 20 favorite moments from the 20th! 1. 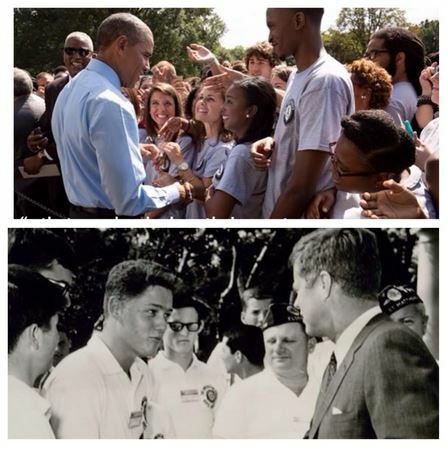 President Obama proclaims, “People who love their country can change it. That’s the genius of America!” In related news, 900,000 AmeriCorps alums add “genius of America” to their LinkedIn profile. 2. TWO initiatives to support AmeriCorps Alums and their careers were announced that engaged 40+ public, private, and corporate partners! Read how AmeriCorps Alums launched our National Service Corporate Champions and Employers of National Service on our blog, or sign up your employer for Employers of National Service! 3. 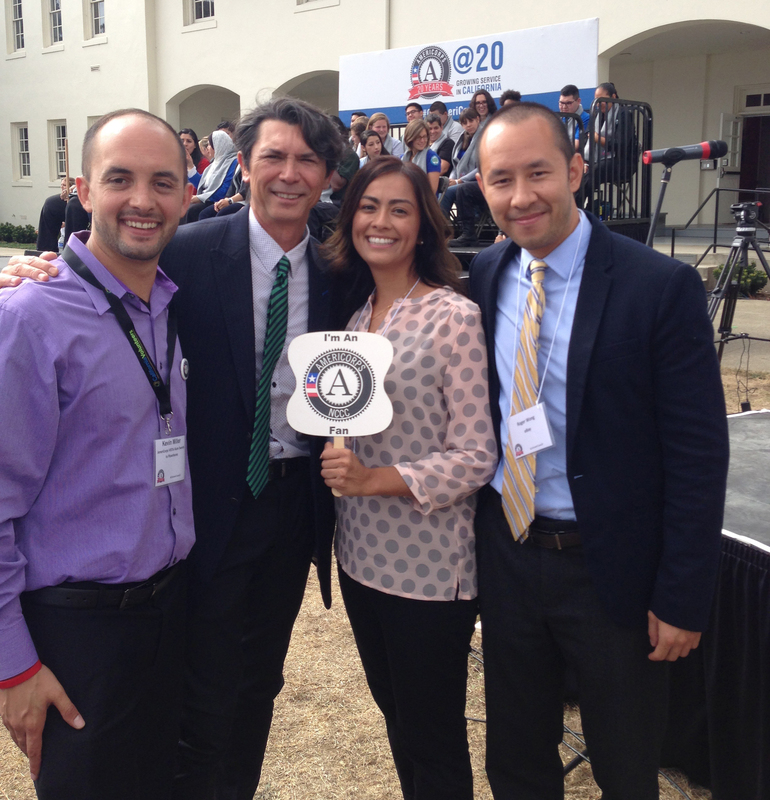 Lou Diamond Phillips celebrates with AmeriCorps Alums National Advisory Council Chair, Ana Estrada, and two AmeriCorps Alums National Leadership Award Winners, Kevin C. Miller (far left) and Roger Wong (far right) at California Volunteers 20th anniversary event. If you feel of wave of nostalgia coming on for all things Lou Diamond Phillips, there are hundreds of pins on Pinterest waiting for your lunch hour. 4. What do you wear to a swearing-in ceremony with President George H.W. Bush? Your best pair of socks! 5. 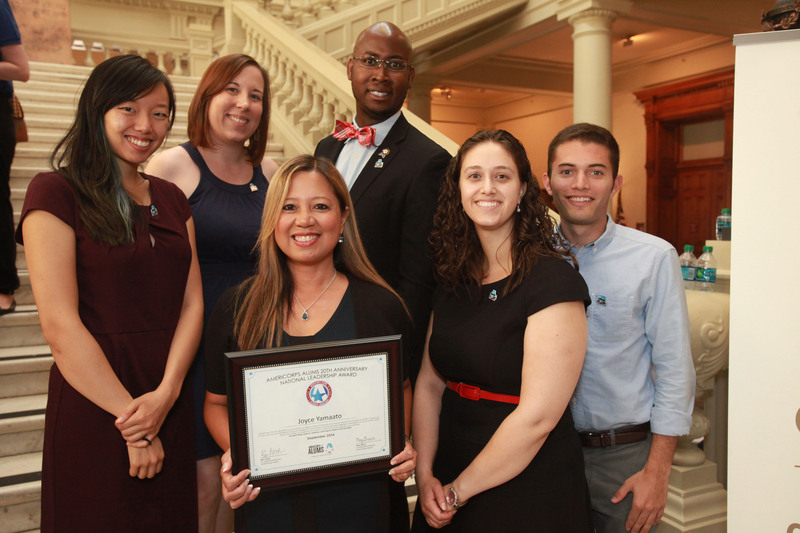 AmeriCorps Alums celebrated 20 National Leadership Award Winners! We have a teaser photo below, and click here to read and share your favorites from all twenty stories! 6. AmeriCorps Alums national award winner, Dr. Dayna Long, introduces President Bill Clinton on the South Lawn of the White House where he once led the first class of AmeriCorps in the pledge. 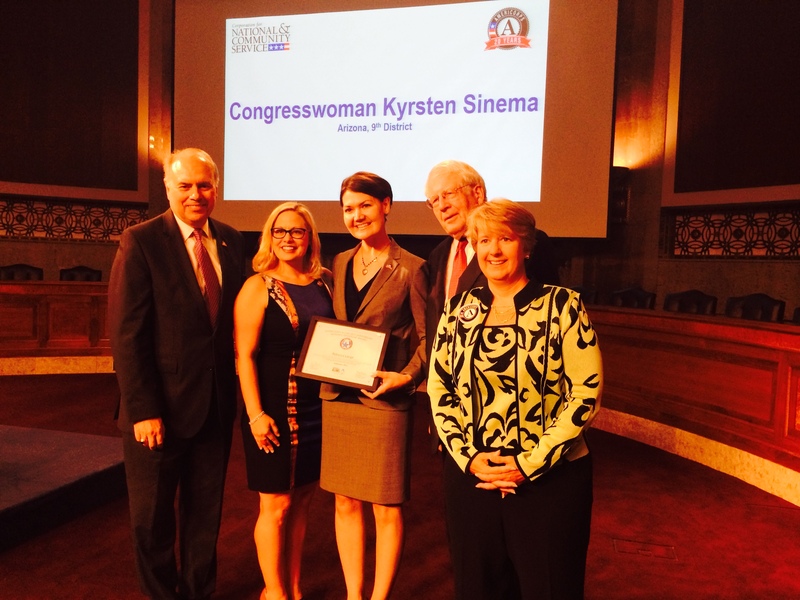 Major Rebecca Lange (center) is joined by AmeriCorps Director, Bill Basl; Congresswoman Kyrsten Sinema, Representative David Price, Co-Chair of the House National Service Caucus; and Wendy Spencer, CEO of CNCS (from left to right). 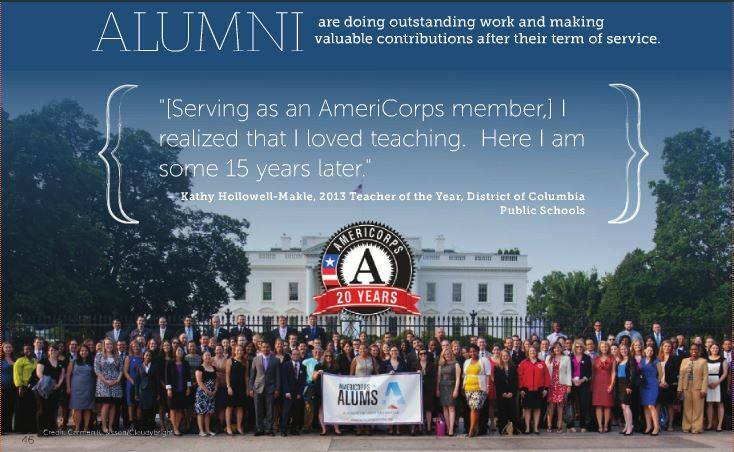 8.What’s more impressive than 900,000 AmeriCorps Alums? The hundreds of thousands of volunteers we train and mobilize. 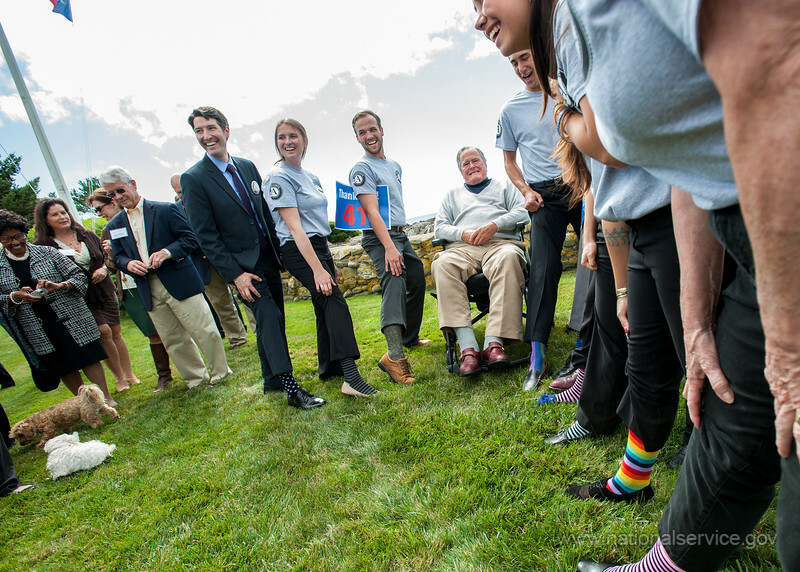 President George W. Bush and Laura Bush share how AmeriCorps members provide the hope and support communities need. 9. Being inspired by AmeriCorps Alums national award winner, Joyce Yamaato, whose 20-year philanthropy career began with AmeriCorps and continues as Vice President with Wells Fargo’s Strategic Philanthropy and Partnerships group in Atlanta, GA.
Joyce Yamaato (centered) with Points of Light staff members who all began their career with AmeriCorps at Georgia’s Department of Community Affairs 20th anniversary event at the State Capital. From left to right: Lucy Zhou, Lauren Reynolds, Traymone Deadwyler, Maria Caruso, and Michael McDaris. 11. President Lincoln made a surprise appearance in Illinois to lead the AmeriCorps pledge (we aren’t kidding with our pledge to serve this year “and beyond”). 12. J.R. LaPlante leads the AmeriCorps pledge at Red Cloud Indian School and shares his AmeriCorps Alums National Leadership Award with his parents who first taught him about service. 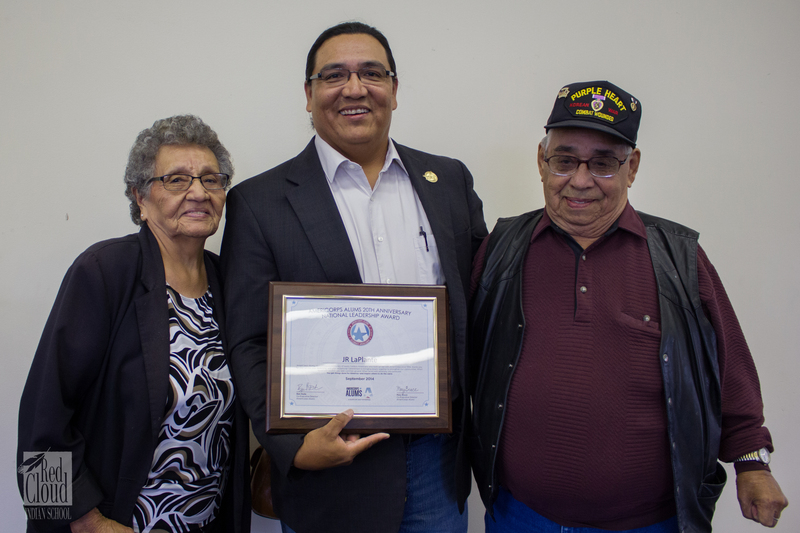 J.R. LaPlante with his parents at Red Cloud Indian School for Serve South Dakota’s 20th anniversary of AmeriCorps event. 13. Alums play, “How many ways can you make an AmeriCorps A?” We think this one wins and is a great example of the rugged idealists “Made in AmeriCorps” that AmeriCorps Alums Co-Executive Directors champion in The Huffington Post (read more!). 14. We partnered to celebrate over 170 local AmeriCorps alum leaders! Click here to see the list of Local Leaders! NV winners Irene Zepeda & Andrew Gonzales (front-center) with Corps members, Peace Corps alums, N. Las Vegas City Councilwoman Goynes-Brown, Cass Palmer, a United Way CEO, and representatives of Congresswoman Titus, Senator Heller, Congressman Heck, the National Guard, and Senator Reid’s office. 15. 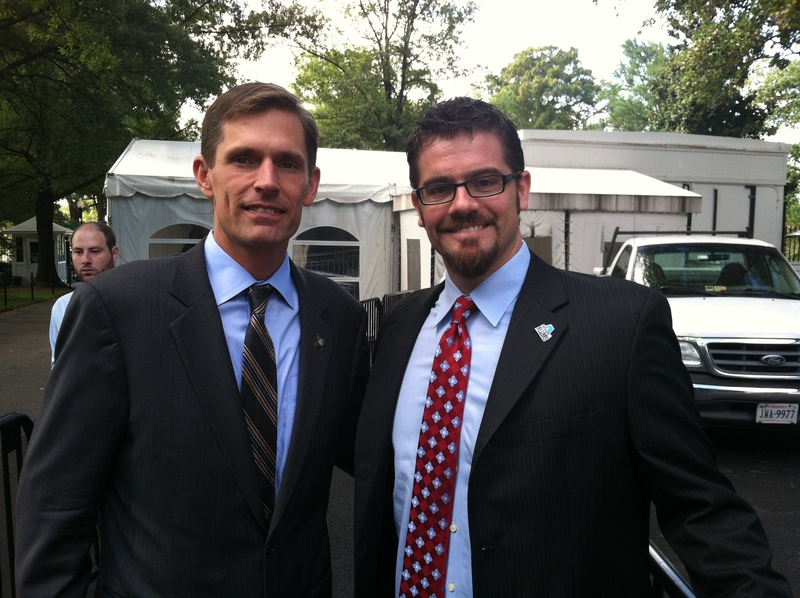 Elected leaders share their support for AmeriCorps including the first AmeriCorps alumnus senator, New Mexico Senator Martin Heinrich! Tweet @MartinHeinrich to say thanks for paving the way for future AmeriCorps alums in the Senate! 16. From packing medical supplies to clearing the jam in the copier, AmeriCorps members get things done. AmeriCorps Alums national award winner and spoken word poet, Kelly Tsai, captures the spirit of AmeriCorps. 17. The chance to thank the AmeriCorps Alums Founders Club who helped create AmeriCorps! 18. AmeriCorps trends on social media and the new Voices for National Service Report, “I Will Get Things Done for America: Celebrating 20 Years of Service” is released! 19. The AmeriCorps Alums chapter network celebrates across the nation in swearing-in ceremonies and service projects. AmeriCorps Alums: Bangor, Maine Chapter celebrates the 20th with the Maine Commission for Community Service! 20. And our favorite moment … Binge watching the whole ceremony again like its the newest Netflix series premiere!